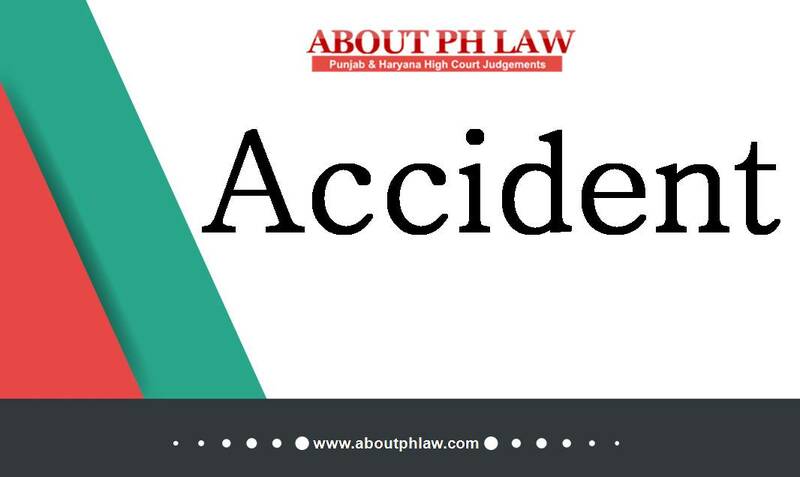 Accident—Personal Expenses—When the father of deceased was also considered as dependent of the deceased, then normal rule of deduction of 50% of the income of the deceased in case of bachelors would not be applicable. Comments Off on Accident—Personal Expenses—When the father of deceased was also considered as dependent of the deceased, then normal rule of deduction of 50% of the income of the deceased in case of bachelors would not be applicable. Tribunal has not denied that according to the documents, deceased was earning approximately 3220 Canadian dollars per month but the Tribunal has only taken the dependency of 1200 dollars per month—No explanation or reasoning has been given by the Tribunal-Matter remanded back to assess the loss of dependency afresh as per material on record. Comments Off on Tribunal has not denied that according to the documents, deceased was earning approximately 3220 Canadian dollars per month but the Tribunal has only taken the dependency of 1200 dollars per month—No explanation or reasoning has been given by the Tribunal-Matter remanded back to assess the loss of dependency afresh as per material on record. Accident—Loss of dependency—Claimants are major sons of deceased-Father after meeting his personal expenses amount would have been investing in addition of the estate even if not paid to the sons, which they would have inherit. Comments Off on Accident—Loss of dependency—Claimants are major sons of deceased-Father after meeting his personal expenses amount would have been investing in addition of the estate even if not paid to the sons, which they would have inherit. Accident—Personal Expenses—House wife—The compensation has to be awarded without making any deduction. Comments Off on Accident—Personal Expenses—House wife—The compensation has to be awarded without making any deduction. Accident—Actual loss of dependency of a deceased businessman, is his contribution to run the business. Comments Off on Accident—Actual loss of dependency of a deceased businessman, is his contribution to run the business.